From tie-dyed hippies to hard-line radicals, they're not all the same -- and they're not what you think. 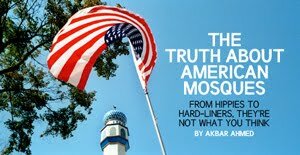 The ninth anniversary of 9/11 is almost upon us, and the relationship between Muslims and non-Muslims in the United States is as fraught as ever. Witness Florida pastor Terry Jones, whose planned "International Burn a Koran Day" held the nation shocked and riveted for weeks until he finally agreed to cancel the event. In this environment of heightened intolerance, people focus on symbols, and no symbol is more representative of Islam than the mosque. But most outsiders have no idea what actually goes on inside mosques. Some have let their imaginations -- and their mouths -- run wild in depicting these places of worship as nurseries of homegrown terrorist plots against America, as the recent controversy over the proposed Islamic center near Ground Zero in New York revealed. But the conversation about mosques doesn't need to be so ugly. Long before the latest controversies erupted, I, along with a team of young American researchers, traveled throughout the country studying U.S. mosques for the book Journey into America: The Challenge of Islam. From fall 2008 until fall 2009 we visited over 75 cities and over 100 of the estimated 1,200 mosques in the United States, some of which are little more than a room or two. And we were reminded that Muslims in America are as diverse as Americans overall. There is no one pattern that can describe them all, and any generalities fail to cover the whole picture.